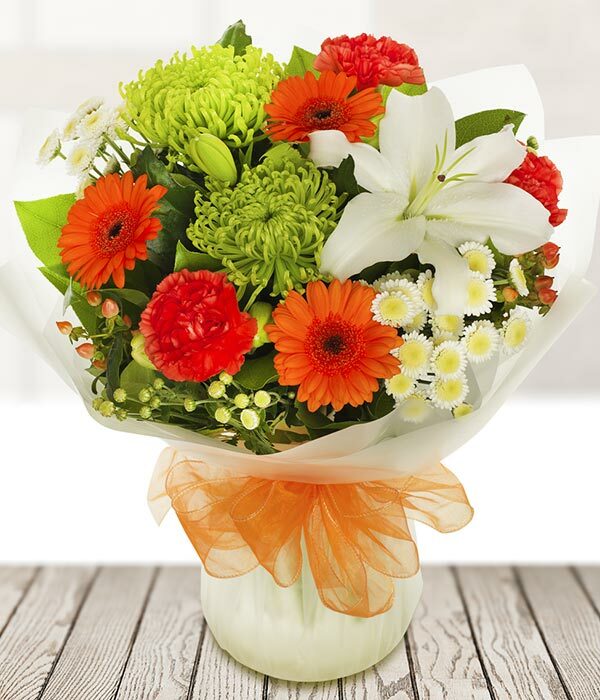 This splendid bouquet is the perfect gift for all occasions. 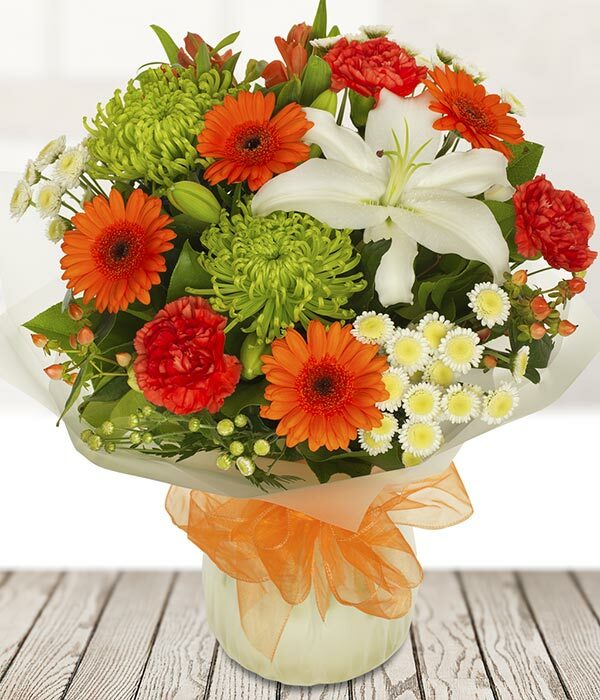 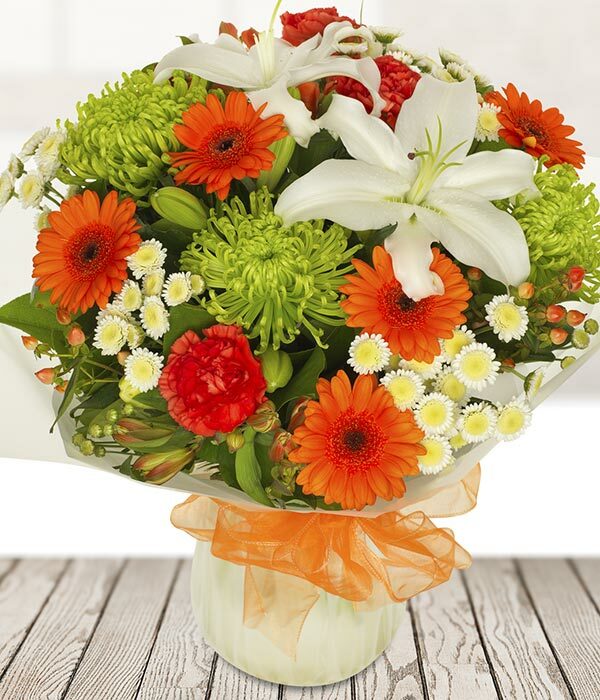 Delightful combination of orange germini, lime green chrysanthemums and oriental lilies. Beautifully hand crafted by a local florist and delivered straight to the door.